Thanks for joining me! 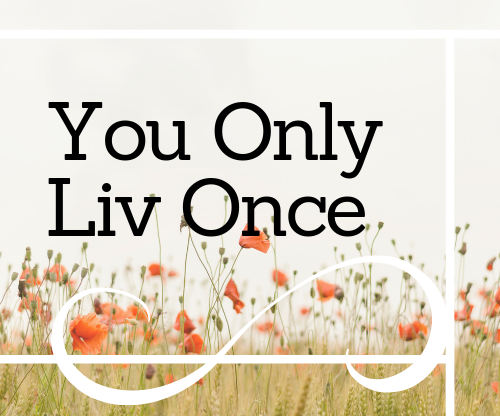 Welcome to my blog, You Only Liv Once. You guessed it! My name is Liv. One of my interests is puns, you may have noticed. They are just one of many interests. The world is so captivating and full of interesting things and I embrace it wholly. That’s why I am starting this blog, to document adventures, share my creations, inspire others, and just remind myself that life is good. I’ve always been passionate about writing, but unsure if I should pursue it as a career, so a blog seemed like a good idea. I plan to write about a plethora of topics, including art, cake, parties, and traveling. I figured this blog would give me incentive to take advantage of more opportunities. After all, I definitely would like to have plenty of interesting content to write on!